Let me begin with a call to action: Get involved! It does not matter where you are in your professional journey. Whether you are an undergraduate student, graduate student, new or seasoned professional, you should get involved immediately. Why? Quite simply, it benefits you and the profession. Do you want to network with emerging and veteran professionals? Do you want to learn about the newest research being done in your area of interest? Do you want to give back to others? Do you want to strengthen the health education and promotion profession? If you answered yes to any of the questions, then you should find out how to get involved with the professional association of your choice. to present at the SOPHE 2014 Annual Meeting in Baltimore in March. What an exciting time! I was able to present my research in poster and oral sessions and making lasting connections. Additionally, I received a SOPHE 21st century meeting scholarship to help defray some of the costs of attending. This honor meant that I got to participate in an awards ceremony and experience a night of private viewing at the National Aquarium. Turtles, alligators and sharks, oh my! Seek out new connections and mentors! Step out of your comfort zone! Smile and say hello. Strike up conversations. Pay attention to presenters' names. Seek out people you are interested in connecting with. Attend sessions that you are interested in and take notes. Introduce yourself-these may be your future employers. Be an active participant! Sign up for and participate in mentor activities, get to know those in the same committees as you, ask questions during presentations, visit exhibitors, and befriend board members. You only get what you put in to the experience. challenge you to find out what they mean). Undergraduates- Do not wait to start doing research. Research is not only for graduate students and professors. Ask a graduate student or professor about research opportunities and attend conferences. The sooner you make connections in the field, the better prepared you are. Graduates- Submit that research. 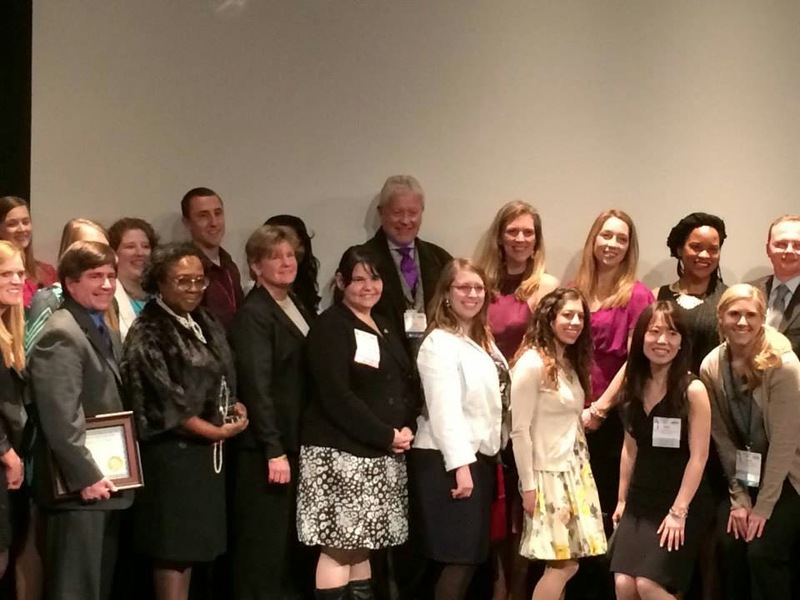 Professional associations want student submissions. We are emerging professionals after all. Take the time to pay it forward and volunteer for the association of your choice. Together, we can infuse health education and promotion with renewed passion and enthusiasm. 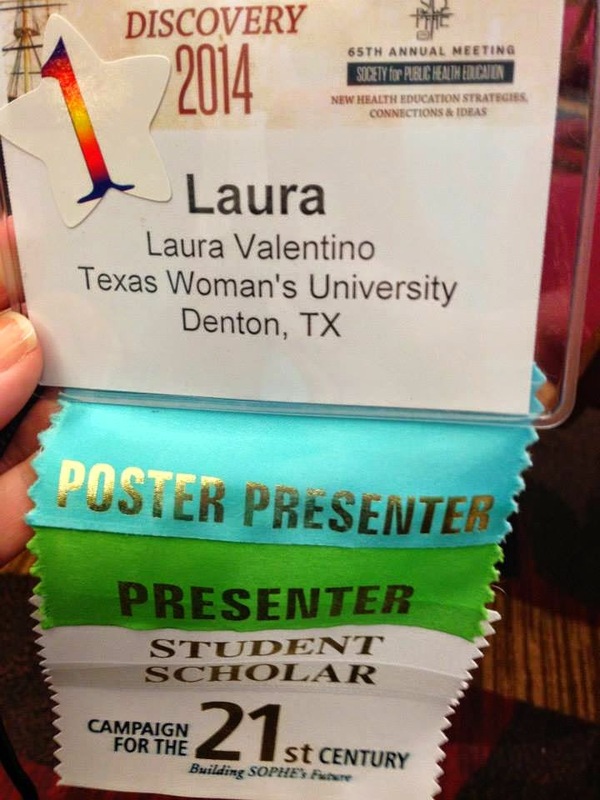 About Laura: Laura Valentino is a soon-to-be second year doctoral student. 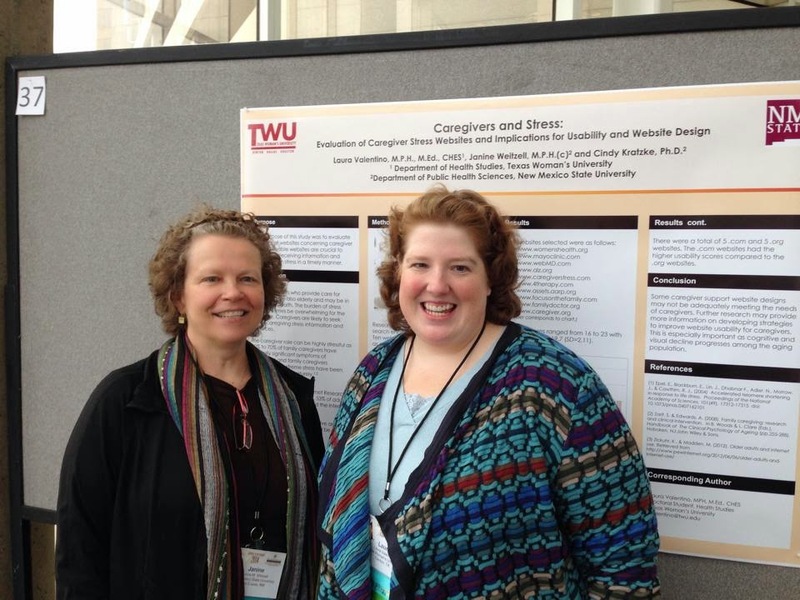 She is the 2014-2015 recipient of the Janice C. Williams Health Education Teaching Fellowship. She currently teaches HS 4121, Internship Preparation. She is the President-Elect of TSOPHE and actively involved in APHA, SOPHE, and ASA as well as Pioneer Power Speakers (Toastmasters International). She is always looking for research collaboration opportunities. Feel free to email her at lvalentino@twu.edu.